Ordinarily I hate the word supper, but given what I made today, the term fits. I went on a date with a really trashy guy in high school once who said supper and the term has irked me ever since. Speaking of dates, the last date I went on was at a trendy barbecue place in Wicker Park, which unfortunately burned to a crisp last week. I take it as a sign. After going to a Tennessee Williams play tonight, I found myself in the mood for some southern cuisine, and I guess since my BBQ place burned down, I'll have to make it myself. It's also still mostly winter here despite that it's technically spring, alas crock-pot season continues. The nice thing about this recipe is you end up with enough pulled chicken to last a week. No spinster's kitchen is complete without a week's worth of leftovers...or a crock-pot for that matter.. 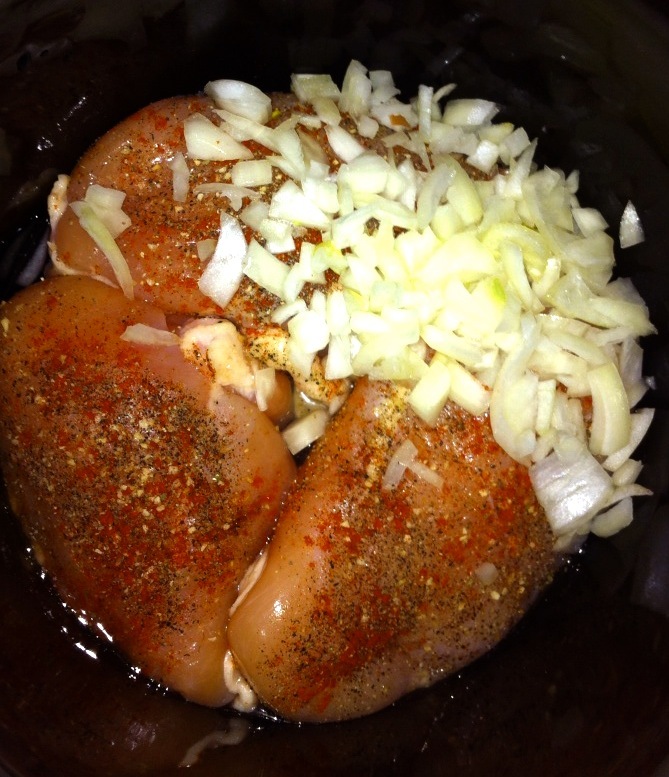 Step 1: Tenderize and season chicken with garlic salt, paprika, salt & pepper. 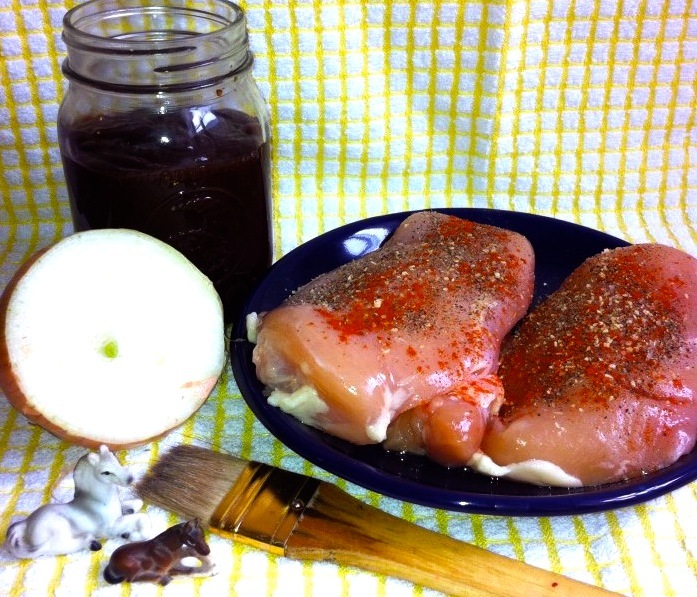 Place chicken in crock with a little water. Step 2: Toss in onion and smother with BBQ sauce. You can't put too much sauce in there, nobody's going to complain. Some people put a can of coke in too. I didn't, but knock yourself out if you're feeling adventurous. Cook eight hours on low. Step 4: After eight hours, all you'll need to do is stab at your breasts with a wooden spoon and they should fall apart. After the ol' stab 'n stir, pile high upon buns with mustard and pickles. Supper is served.